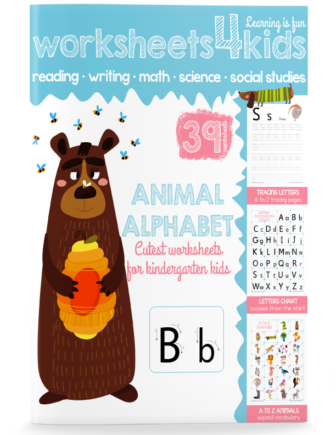 FREE traceable letters and numbers workbook for kindergarten kids. This book is great to learn proper letter and number formation, as well explore animals from A to Z. 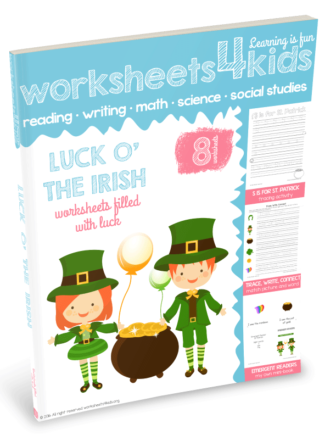 You will find here 26 traceable letters worksheets and 9 traceable numbers worksheets. Each page covers both uppercase and lowercase letters. Direct your child to outline letters and numbers with her finger. The tactile experience is very important to build tracing memory for your child. Then practice each uppercase and lowercase letters. At the right side, your child will find the animal that starts with this letter. 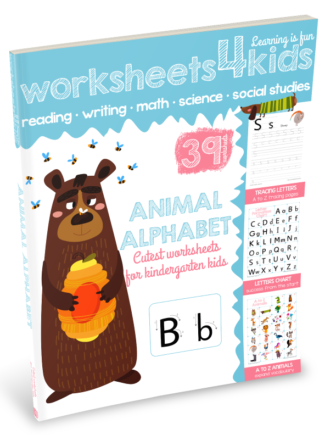 Animals included in worksheets are represented in the chart at the end of the book. 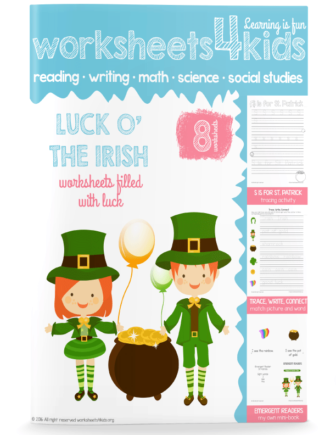 These St Patrick Day worksheets are great for kindergarten and preschool kids. Students will learn new words and expand their vocabulary. They will practice writing and draw a picture. 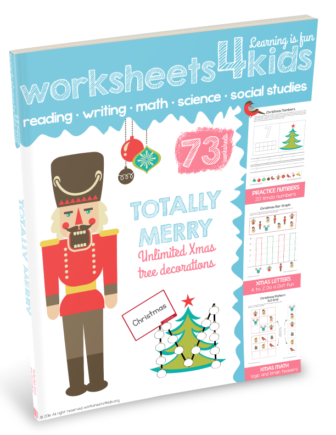 It is an excellent addition to your lesson or after school activity that will bring a holiday spirit! This library includes 840 practical worksheets and hands-on activities for your classroom. 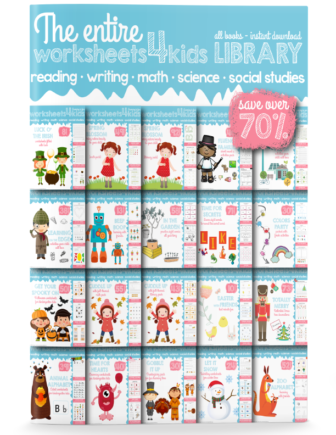 The entire worksheets4kids library will save you hours on preparing for your next lesson. Each book focuses on practicing the fundamental skills required in preschool and kindergarten. 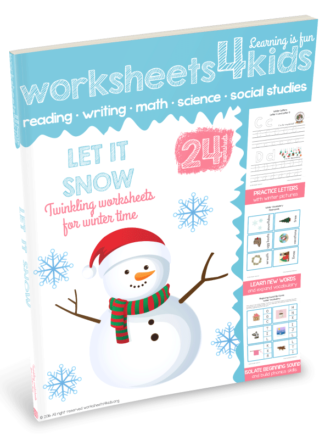 Workbooks designed in different themes to learn more about seasons and bring holiday spirit in your lesson. 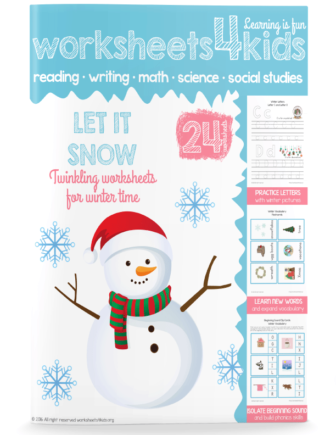 These winter worksheets will be a great addition to your literacy lesson. Students will learn new winter related words, practice phonics skills and learn to write all 26 letters of the alphabet. You can also use this book as an afterschool activity, play memory game (simply print vocabulary cards twice) and learn new games or play a charade during the snowy evenings. 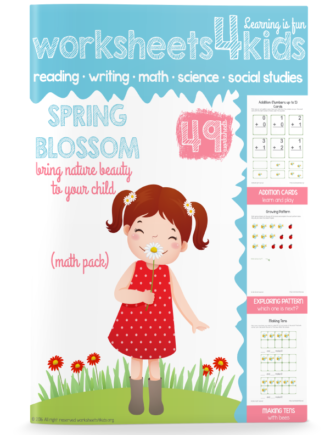 This Spring math pack is great for preschool and kindergarten children. 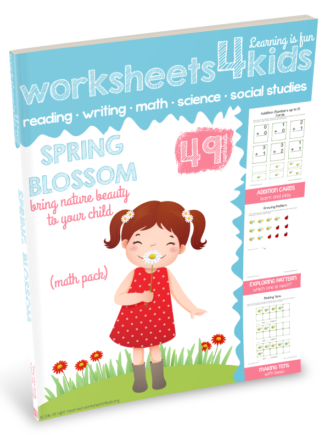 With these spring worksheets, kids will explore math in a fun and hands-on way. They will practice numbers, counting and operation, explore bar graphs, finish patterns and more. This math pack can be a great addition to your lesson or after school activity. This Spring printables are great for preschool and kindergarten kids. 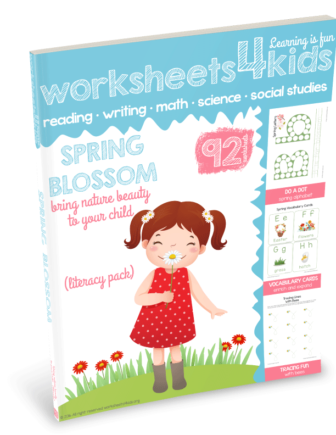 With these worksheets, kids will explore spring vocabulary, practice letters, learn to read and spell sight words. With stickers, every lesson will turn into a fun learning time. You can also use this pack as after school activity at home with your child. With this Earth Day worksheets, kindergarten student will learn about the Earth day and how they can help the Earth. 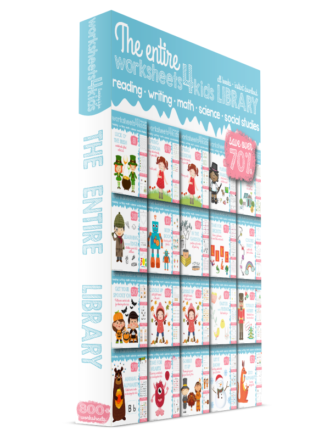 Reading and writing activities, math and brain teasers, fun printable games and more. 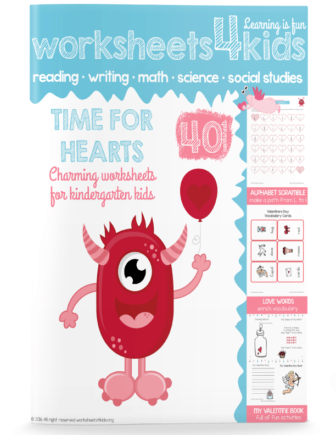 You child will love to work on these worksheets. Great for after school activity as well! With this Easter mini pack, preschool and kindergarten kids will have lots of fun. Practicing letters, reading, numbers, learn new words and even more! Matching shadow Easter wheel is great for practicing visual discrimination skills. 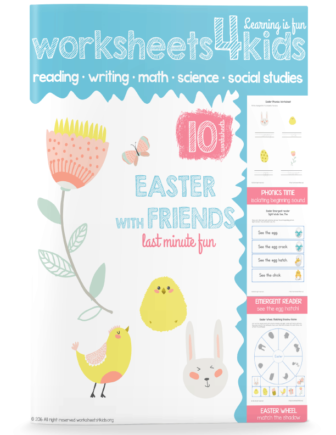 Easter worksheets are great a way to add a pinch of holiday spirit and bring fun to your classroom. With this Valentine's Day mini pack, kindergarten students will practice various skills in a hands-on and active way. Complete the alphabet scramble, explore new words and expand vocabulary, practice fundamental math skills, and have a fun time filling out the activity mini-book. 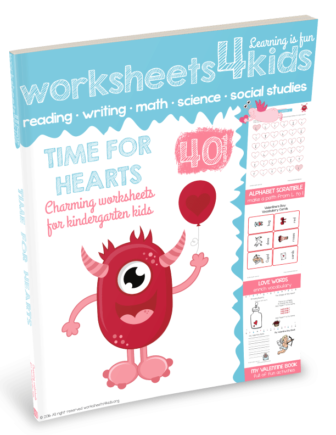 This workbook will be a great addition to your lesson, or after school activity. 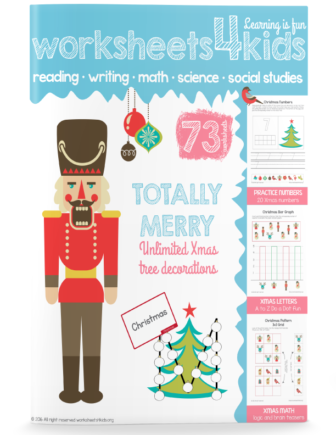 Bring a Christmas spirit in your classroom and decorate as many Christmas as your child wish! Learn letter and numbers, expand vocabulary, solve math problems, finish patterns and more. This book will be a great addition to your lesson, afterschool activity, or extra practice during the Winter break. 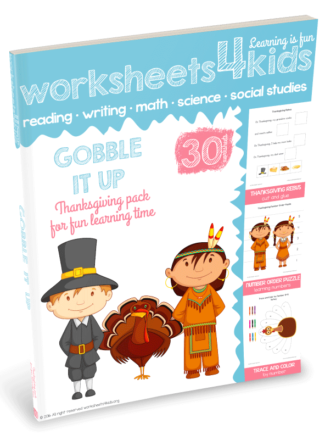 Explore the Thanksgiving through math and literacy exercises. This workbook designed to engage preschool and kindergarten kids while building the fundamental math and literacy skills. There are various hands-on activities and games, such rebus, memory game, following directions, cut and paste pattern. Hang the Thanksgiving classroom poster add a pinch of holiday spirit to your classroom. 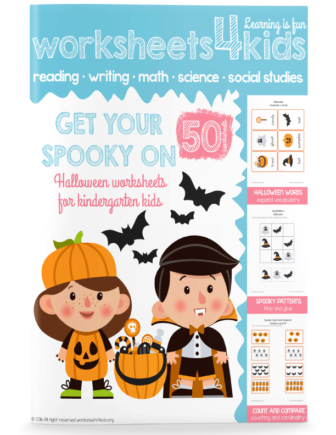 This Halloween pack is great to practice fundamental skills and bring spooky spirit in your classroom. 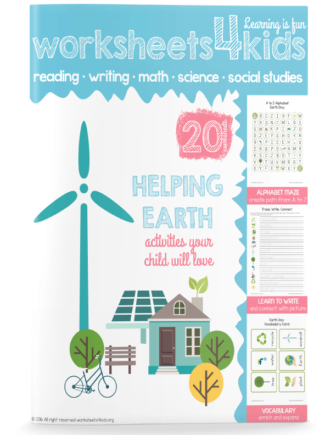 This workbook includes reading, writing, and math units. 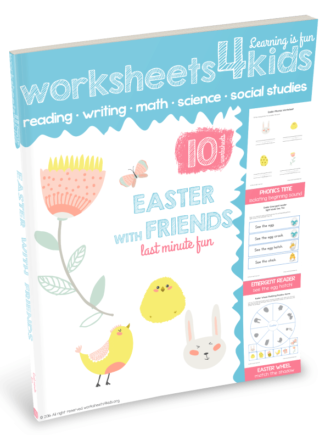 The book combining worksheets and hands-on activities to make the learning fun. 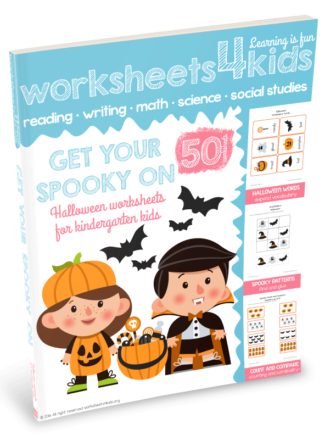 Students will practice reading simple passages, writing Halloween sight words, perform spooky counting and basic math operation, finish patterns and more!